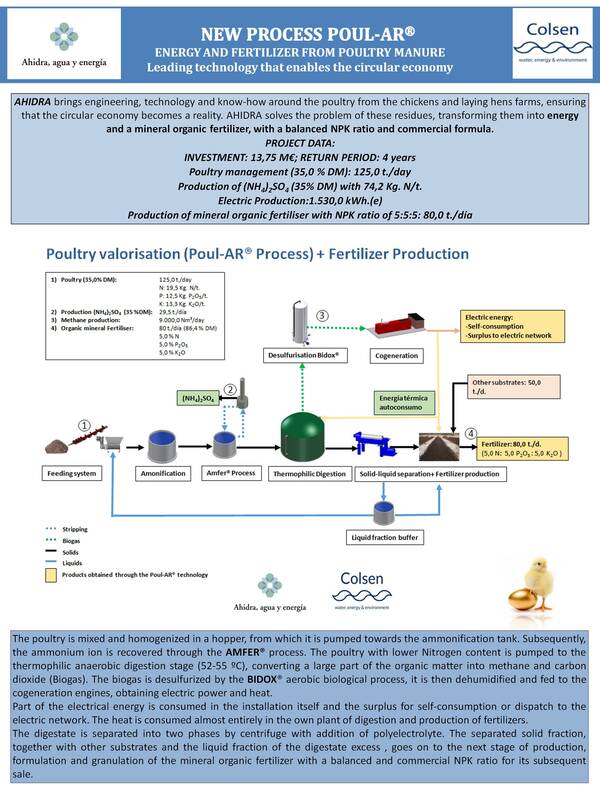 After several years of hard work, intense research and development, several pilot plants and the philosophy of the company to always make available to our customers the most innovative technologies to make this world environmentally better, we are proud to announce that THE NEW POUL-AR® TECHNOLOGY IS ALREADY AVAILABLE, for the treatment of poultry generated in chicken and laying hens farms. 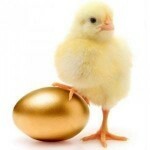 The great problem of directly using the poultry in the agriculture, apart from the environmental, is the inefficient ratio of the nutrients Nitrogen, Phosphorus and Potassium (NPK), becoming into a residue of difficult management. The key to the success of this new technology lies in the energy recover from the poultry, as well as in the maximum recovery of nutrients to produce a mineral organic fertilizer with a balanced and commercial NPK formula. ¡¡¡From now on with POUL-AR®, poultry manure ceases to be a waste or a bad fertilizer for agricultural use directly, to become into a great income, contribute to the circular economy and to significantly reduce the production of greenhouse gases!!! 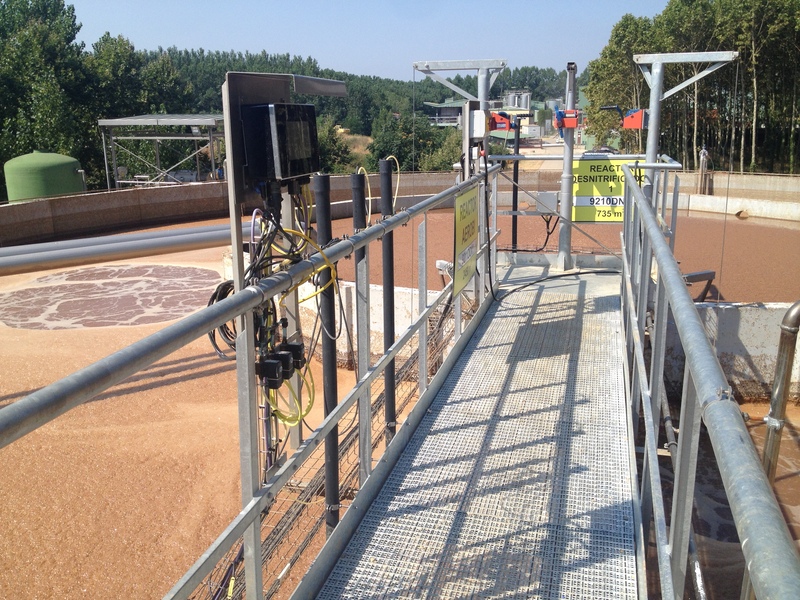 Commissioned a wastewater treatment plant for a multinational food industry in Girona region. Ahidra, agua y energía, S.L. 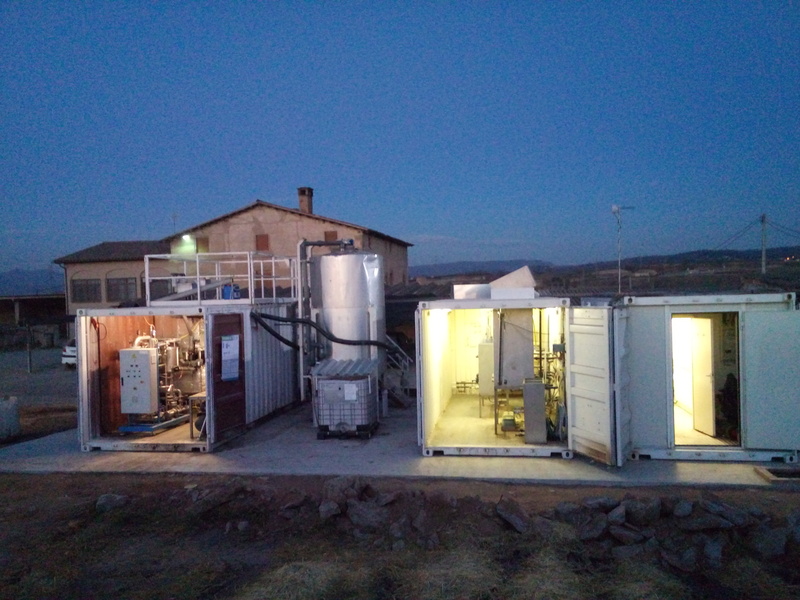 has commissioned a wastewater treatment plant for a multinational food industry in Girona region, where a biological aerobic treatment using the ultimate control system developed by Ahidra for Nitrogen removal has been implemented. For a SME like Ahidra, it is a great economic and human effort to be present at the IFAT 2016, but once again Ahidra shows that it is up to the expectations of our customers. 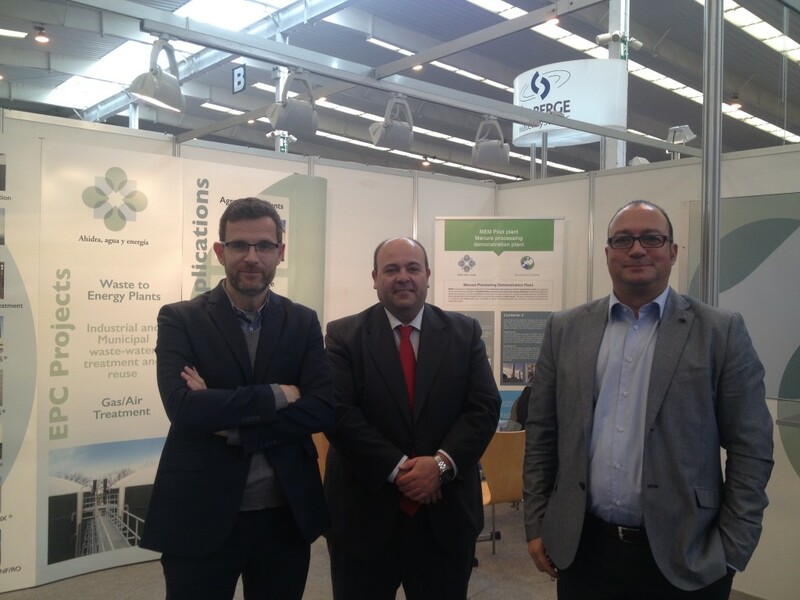 We have been novel in the IFAT, but we counted on the factors of illusion, motivation and passion for what we do. We contribute to make this world a better place. With these ingredients, the result could not be other than success. Lots of visitors to our stand very interested in our technologies. The Manure Ecomine Project continues awaking interest, as well as our patent NAS® (Process Anammox). The Ahidra team is highly satisfied with the work done in the IFAT 2016 and with the results obtained, however our innovative DNA has already led us to work on ideas for improvement for the next edition of 2018, where we will be definitely present, showing the best available technologies to look after our planet. Dear customers and partners, following the commercial strategy marked by management and after the great success achieved in SMAGUA 2016, Ahidra gets pretty and travels to Munich. 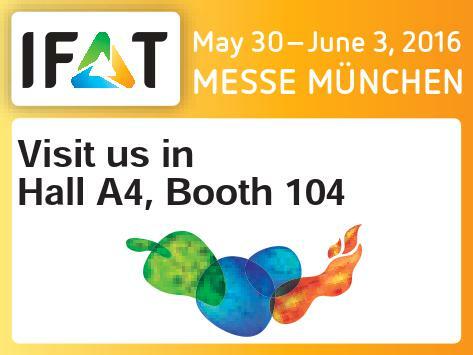 We are pleased to inform you that largely Ahidra will have its own booth exhibitor at the IFAT 2016 (Hall A4, Booth 104). Throughout the week Oscar Benito (MD), Alexis Diez and Daniel Caballero will wait you at the stand with the best available technology to provide real, efficient and effective solutions to your problems. Our goal is to help you achieve a more sustainable planet. Ahidra whole team is very excited about the IFAT 2016 and our presence there, we are aware that it is the perfect international showcase for Ahidra. IFAT 2016 trade fair is the world’s most important environmental technologies focused on water management, disposal and recycling of waste and sustainable resource management. The right time in the right place with the most efficient technology possible, success is guaranteed. 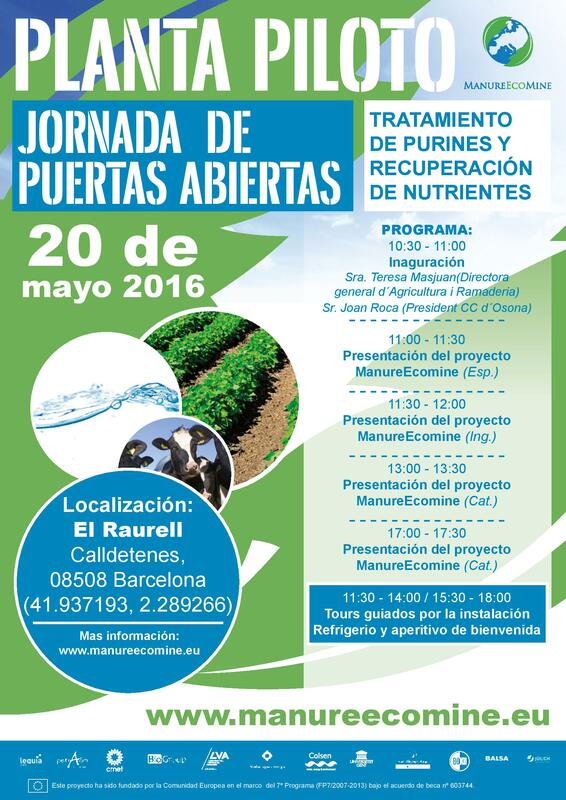 Dear clients and followers, we are happy to share with you the great news that has come on the OPEN DAY of the R+ D + i Manure Ecomine project in Spain. 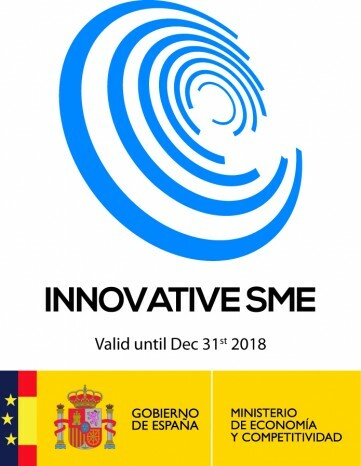 Our company participates under the Seventh Framework Programme (7th FP) of the European community in the Manure Ecomine project in a partnership with several European universities among which there are several Spanish ones, such as the University of Santiago de Compostela (USC) and the University of Girona (UdG) and private companies, with the clear focus to enhancing cattle manure and produce “green” fertilizers with high added value. We invite you to the open day that will take place close to Vic (Barcelona) on May 20th, where we will make a presentation of the project and we will guided groups to visit the pilot plant. The project sponsor European Commission and the European food industry are very aware of the results obtained in the pilot plant by Ahidra. Again Ahidra is leader in the application of new technologies and chemical engineering processes with the aim of improving existing processes to achieve a more sustainable planet, we strive for the common good. After years of engineering work and constant technology innovation, Ahidra begins to position itself as a leader company within the environmental sector, achieving great success in both the municipal and industrial sector. Ahidra´s Direction has commited to further development of its business strategy in order to make the public aware of its high capacity to solve environmental problems, contributing as much as we can in making our global ecosystem more sustainable. Ahidra has been exhibiting at the international fair of water SMAGUA 2016 with very gratifying results. Administrations, industries and managers of the integral water cycle have shown great interest in the solutions provided by Ahidra. With special focus on the Nitrogen removal process via Anammox, with its patent SBR-NAS®, after the successes of the WWTPs of Salamanca and Valladolid. In the industrial sector, Ahidra has aroused special interest for the project developed for one of the major lactic groups, located in northern Spain. Anaerobic digestion of cow manure and other substrates for the production of biogas equivalent to 4.5 MWh. 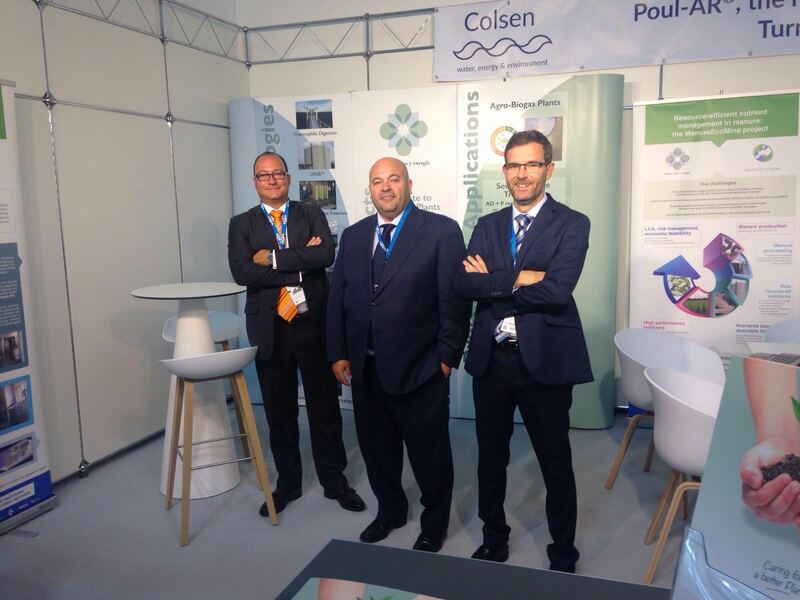 This plant will be one of the largest Agroindustrial biogas plant in Europe. Oscar Benito, Manager Director, introduced in SMAGUA Ahidra´s two Sales support and Business development: Alexis Diez (General Manager Latin America) and Daniel Caballero (Sales Director IBERIA) two highly qualified professionals with extensive business experience and with clear goal of being very close to the customer and provide customized solutions. SMAGUA experience has been extremely positive for Ahidra and we look forward to sharing our success and new challenges in the IFAT 2016 in Munich with the best engineering at your service. After one year of operation in The Netherlands, Ahidra, agua y energía S.L performs the pilot plant installation of the Manure EcoMine project of the 7th programme frame R+D (www.manureecomine.eu) in Vic, Catalonia. The pilot plant has been installed in an area vulnerable per nitrate contamination. Manure EcoMine is a 3 year project which aims to recover nutrients from manure and blend them into green fertilizers. 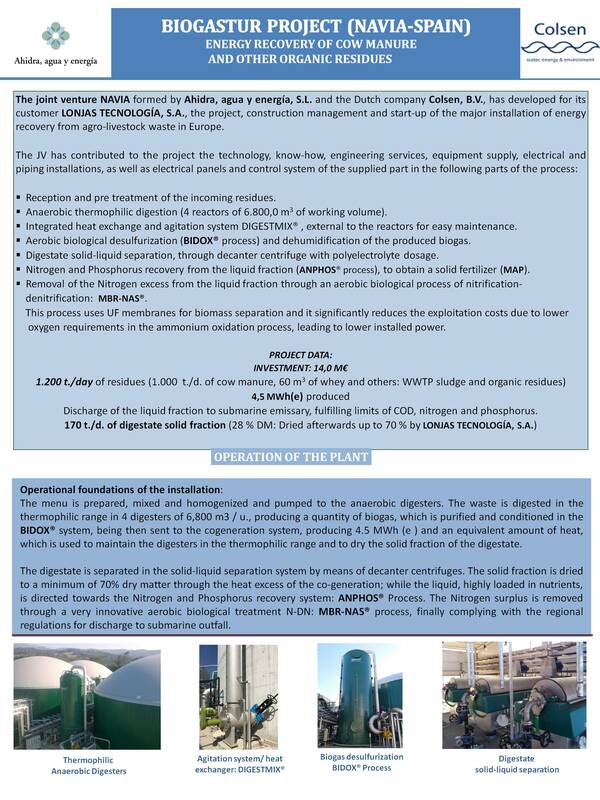 The pilot plant, designed to treat pig and cow manure together with other co-substrates, consists on the following processes: Mesophilic Anaerobic Digestion with biogas production and nutrients recovery (mostly Nitrogen and Phosphorus) in fertilizers (N-Struvite and K-Struvite) and biological removal of the Nitrogen excess. 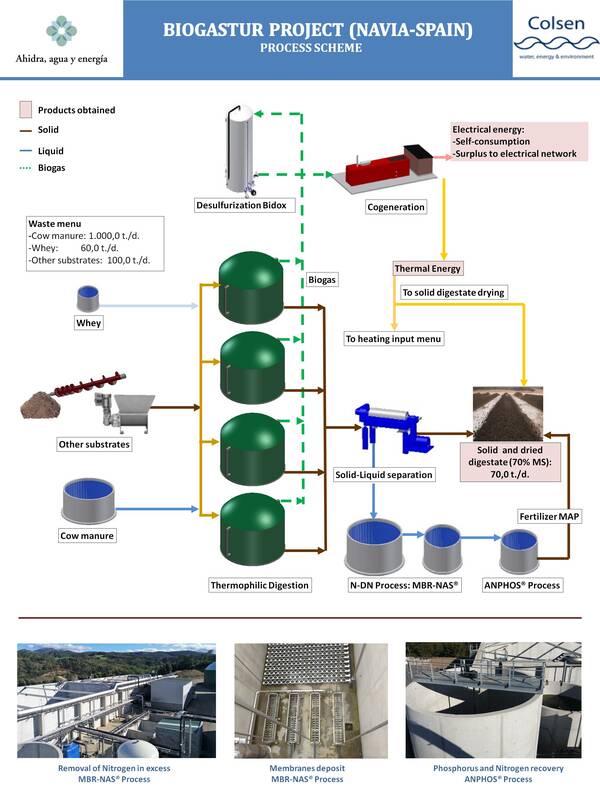 The pilot plant will be operated and optimized by Ahidra, agua y Energía S.L in Vic (Raurell farm) during 2016. Manure EcoMine aims to verify and optimize the most up-to-date technologies available in the market to valorise the manure waste generating fertilizers of high value. Ahidra, agua y energía S.L. 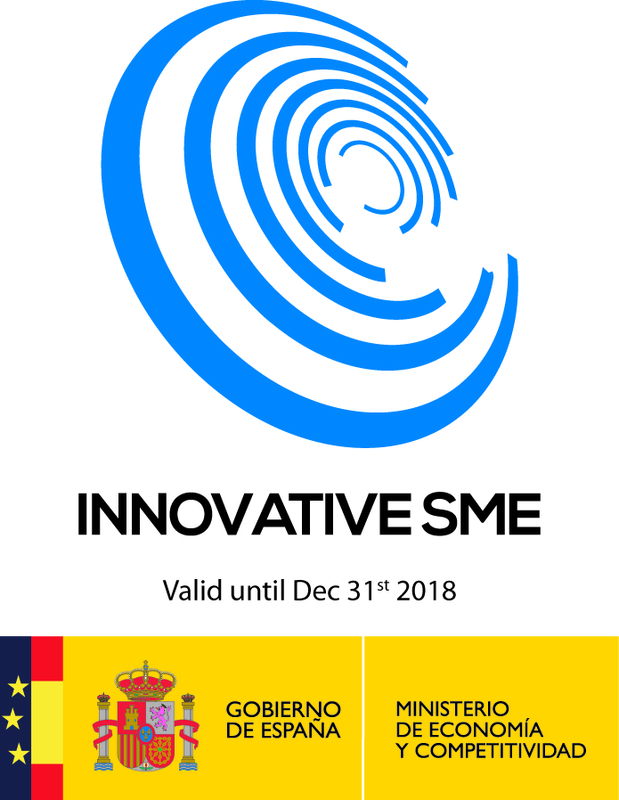 gets the award as innovative SME from Ministerio de Economia y competitividad del Gobierno de España, that recognizes the affords in the research and development of new applications/technologies in waste and wastewater treatment during the last three years.